Can I perm my Peruvian Straight Hair? Peruvian straight hair is thicker and coarser than Indian hair. However it is much easier to dye, perm due to its texture. Many American African Women like Indian hair more due to its soft texture. 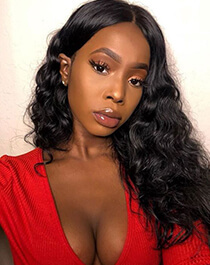 But if you want to do more hairstyles after installing the hair extensions and want to extend your hair extensions service time, Peruvian straight hair is the better choice. Dsoar hair collects remy human hair from Peruvian local donors. The hair is natural black and straight. The texture is very thick. During the hair processing, we perm the remy hair into Peruvian deep wave, Peruvian body wave, curly hair. The hair can still keep well. However, any hair will lose the nutritution once cut from the head. 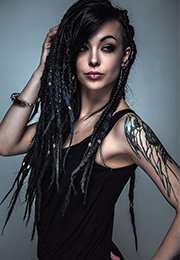 Frequent hair styling will result in the hair extensions tangle. 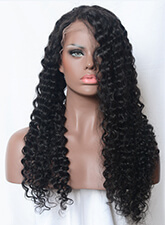 For deep wave, loose wave and curly wave, they are seriously processed in the wave in the wig factory. Thus it is not advised to do some straightening for these curl wave. But for Peruvian straight hair, it is little processed and you can perm, dye it much. 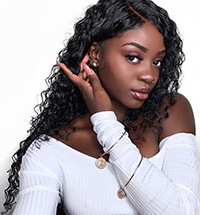 Dsoar hair offers all kinds of Peruvian hair to you. Peruvian straight hair, Peruvian deep wave and Peruvian body wave and Peruvian curly hair.